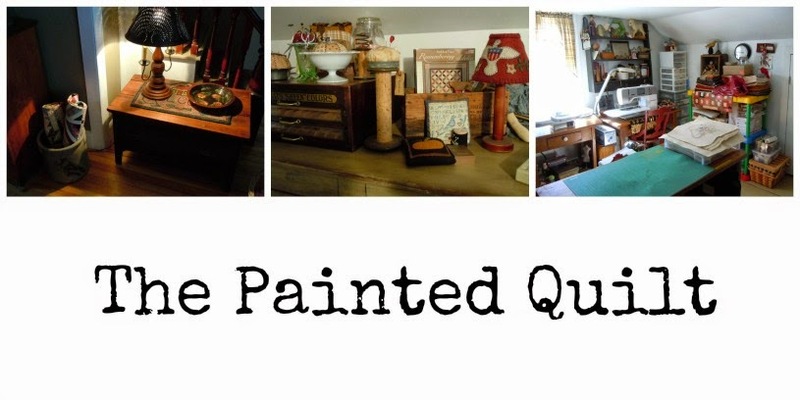 The Painted Quilt: Whetting your appetite! 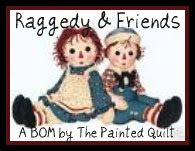 In my last post, I mentioned that I had joined an online sew-along group and promised to tell you more about it. 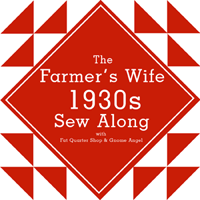 It's called the Farmer's Wife 1930's Sampler Quilt Sew-Along, hosted by the Gnome Angel from down under. I believe there are now over 3000 'sewers along' from all over the world and in order to participate, the only item you must have is a copy of the 1930's Farmer's Wife book pictured below. 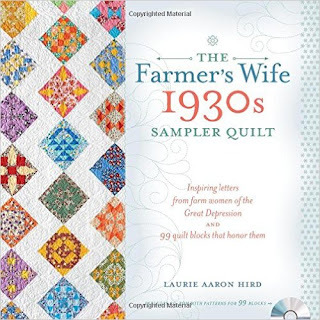 I've had the 'other' Farmer's Wife book for several years but it won't do for this sew-along because all 99 blocks included in the 1930's book are new and different ones! 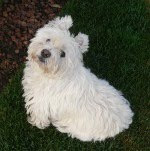 I'm not going to go into all that's involved but if you're interested in finding out more or joining in on the fun, just click HERE and it'll take you to the Gnome Angel's blog where she explains everything in detail. And it's not too late to join either! This week we started with two of the easier blocks, just to get our feet wet and to tempt our palettes...or whet our appetites. To whet your appetite is almost the opposite of wetting your appetite. Whereas wetting your whistle quenches your thirst, whetting your appetite arouses, heightens, or sharpens it. Whet means to sharpen or make more acute and comes from the Old English adjective hwæt "brave, bold" (from the Old Saxon hwat "sharp"). I've decided to use some fabrics in my stash that I've had for a couple of months from Kim Diehl's latest line called Gathering Baskets. No surprise there, huh? *wink* L-O-V-E Kim's fabrics and color palette! and the second block called, "Bonnie". I like to be organized so after printing the layout for each block from the CD that comes with the book, I placed them individually in a plastic sleeve in a binder set aside just for this project. Once I finished piecing the block, I slid it into the corresponding plastic sleeve. Each block measures 6 1/2" unfinished so they fit in quite nicely. In this way not only will they lay flat but there's also less chance of one or more going astray. 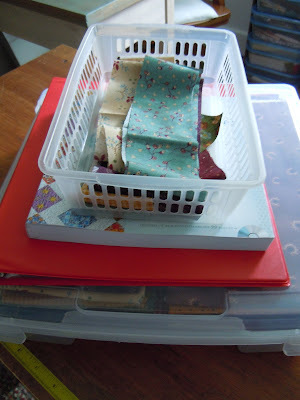 All the fabrics that I'll be using are kept in a plastic tote for easy access. After cutting out the strips for the pieces that I've chosen for a particular block, I fold and store the 'leftovers' in a little plastic tray. 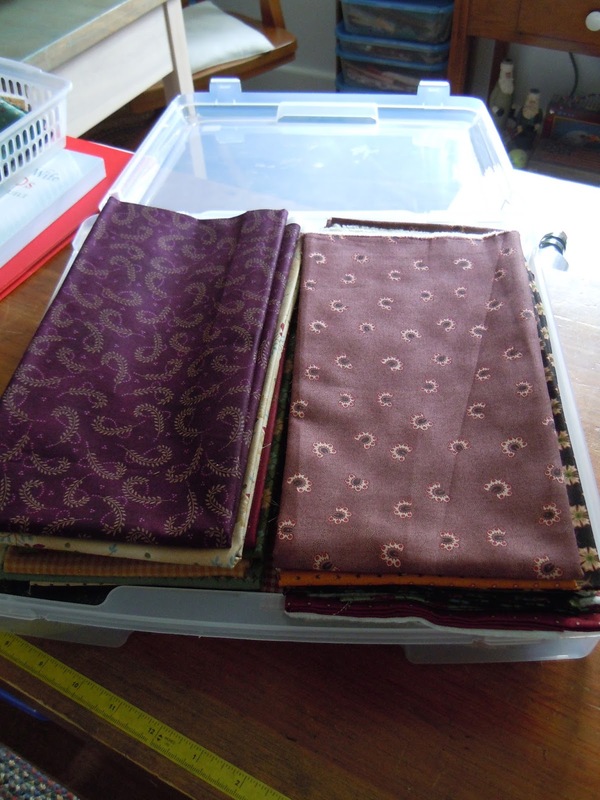 In that way, if I need another small piece of fabric that I've already used, they too will be easily accessible. at the end of my cutting table as you can see. Two blocks down and only 97 more to go...if I decide to make all 97, i.e. So did I whet your appetite? Yep, I got hooked too. 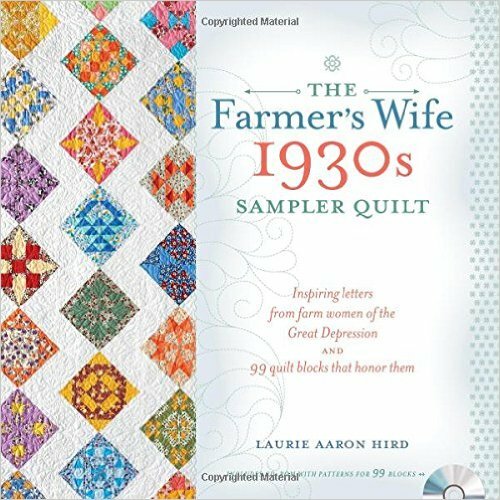 The CD is a great addition to this 1930's book. You are so organized! For some reason, I thought these blocks were 8.5". I don't even have the book though so guess I'm wrong! I love your blocks! That's a great line of fabric! Can't wait to see your progress! Oh my, you are going to be a busy gal! Have fun with the blocks. 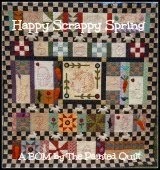 I still look through my Farmer's Wife Sampler book...maybe some rainy day! I'm one of the 3000 or more sewing along. Love your fabric choices. I am using my stash of 1930s reproduction fabrics. And I only have the first block done so far, with the second one happening this evening after work. The book is just as much fun reading as the other one was because the stories are wonderful. I am also one of the 3000+ QALers! I "pledged" to not start my blocks until October 1st so I'll be sewing along shortly. I plan on using Jo Morton, Kathy Schmitz, & Barbara Brackman fabrics. I'm so looking forward to this project and am patiently waiting for my back-ordered book to arrive! I like seeing how you "organized" your project! I have such a small sewing area that I just get overwhelmed and don't do projects that I would otherwise love to do! Soon I will be off to the craft store to find plastic containers and a notebook like your's! I love seeing how organized you are. My resistance is strong on this one. I did 60-some odd blocks from the previous book and I don't think I am ready to jump into another big 6" sampler now. 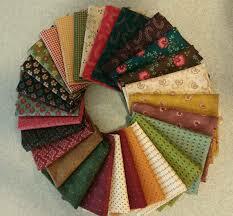 Your fabrics will make this wonderful! I will enjoy seeing the blocks take shape. I've enjoyed following along with the bloggers who are participating in this SAL ... but I must say that I am really swooning at your blocks. Love the fabrics you've chosen (Kim's are always a favorite of mine) ... I'm really looking forward to seeing more of your FW blocks. Oh my, I love the fabrics you chose! I'll be looking forward to watching your progress as well as the others participating in the SAL. Thanks for sharing how you organize your fabrics and blocks for this SAL. Love the fabrics and love your common sense ways to organize.